In accordance with the FTC, Quill Café would like to disclose that the reviewer purchased this book. The opinions expressed are hers alone and no monetary compensation was offered to her by the author or publisher. Cover art is copyright of Flux and is used solely as an aide to the review. Braden has a magical affliction: witch eyes, the ability to see everything - memories, emotions, magic - with a glance. Determined to learn more about his curse of a gift, Braden sets out for Belle Dam, only to be caught in the middle of a feud between two rival witch families. With the discovery that he has his own family ties wrapped up in the conflict, Braden is having a hard time keeping out of it. Things get even more complicated when he meets Trey, the son of one of the rival families. Will Braden's growing feelings for Trey jeopardise his search to discover the truth about his witch eyes? Someone wants him dead. Both families could use him as a powerful weapon for their cause. Who can Braden trust? Ever since I saw those eyes on the cover art for this novel, I was intrigued but once I'd read the synopsis, I knew I had to read this book. The release date came and I searched for it on shelves everywhere but with no luck. I was torn between supporting bookstores and getting this book now. Lucky for me, there seemed to be only a week delay in shipping copies and I snatched one up as soon as I found it. That night - last night - I started to read. I was up until ten to five in the morning. There are a few things you should know about me. I do not stay up all night reading books, even really good ones. I yearn to be addicted to novels but it almost never happens. Also, I hate 'Romeo and Juliet' so the "rival house feud story" could have been a massive turn-off for me. Of course, I willingly lost sleep over this book, so you can tell it delivered. Braden is an awesome character. I think that perhaps if this were someone else in his place, I wouldn't have felt as attached to the story. His wit was infectious and he was sympathetic, without being a character who seemed to be asking for sympathy, which a fair amount of protagonists in young adult novels are prone to do. I never had my head quite wrapped around what was happening in Belle Dam. Just when I thought I had something figured out, something else came along and surprised me. 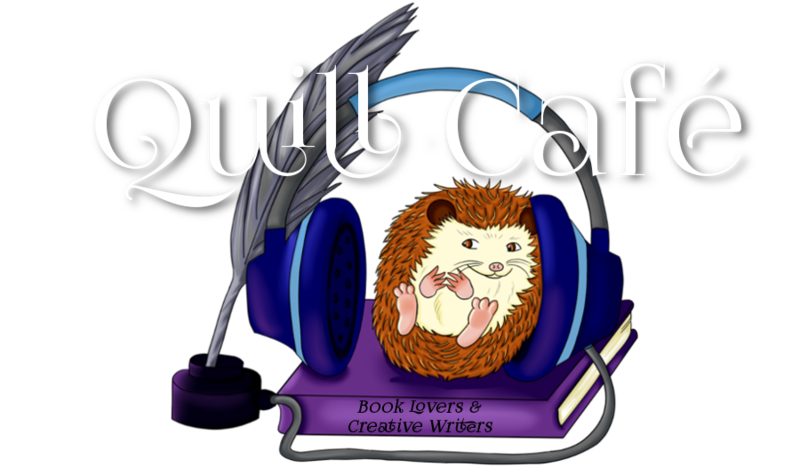 The characters all intrigued me in their own way and I was fascinated to learn more about them all. There was no thoughts of, Oh no, not this chick. Next please! I'm interested to see more of the character developments in the next novels and witness the dynamics between the rival families and those around them progress. I was most impressed by how the relationship between Braden and Trey was handled. I can be am very cynical about romantic aspects in novels. I loved seeing how they interacted and watching the relationship between them develop. It was nice to read about a pair of characters, where there is none of that, "Oh, I love you so much, please don't leave me, I would die for you..." nonsense (à la 'Romeo and Juliet') but the attraction is clear. 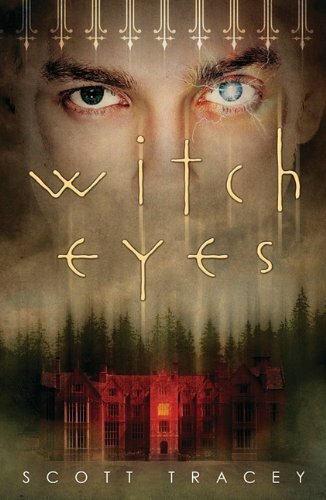 'Witch Eyes' is a book I would be quick to recommend am recommending to you right now. I am more than eager for the sequel and can see myself rereading this book in the future. Scott Tracey is an excellent writer and I look forward to reading more of his work. I also never lose sleep over a book. So that is the mark of a fantastic book for me. I've had my eye on this one. I think I will have to read it soon! This is a great book. I loved to pieces. Great review!